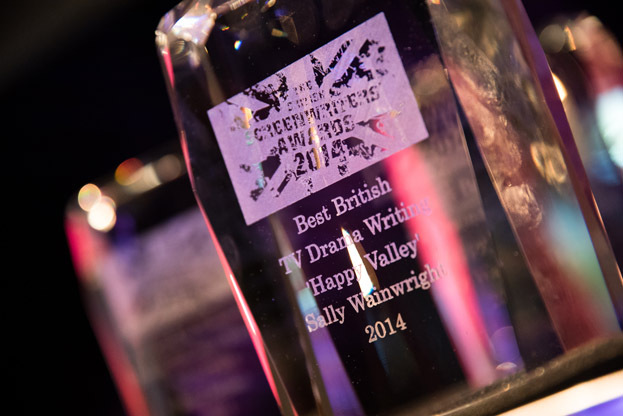 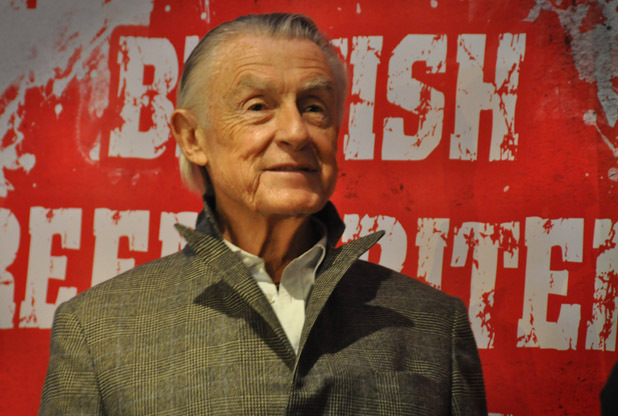 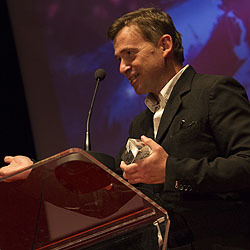 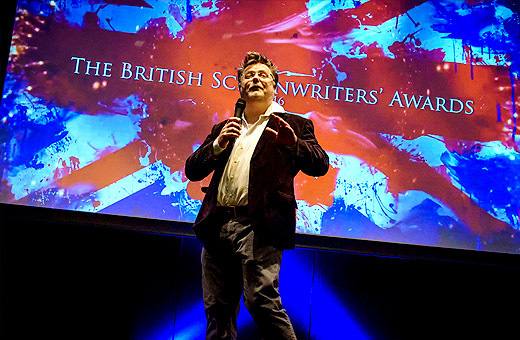 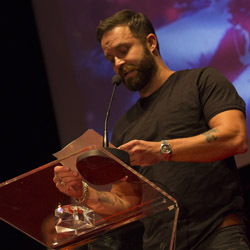 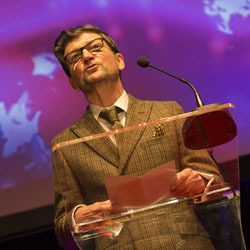 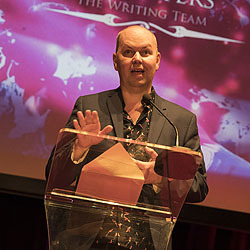 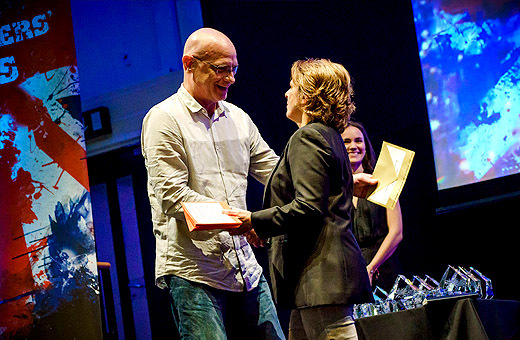 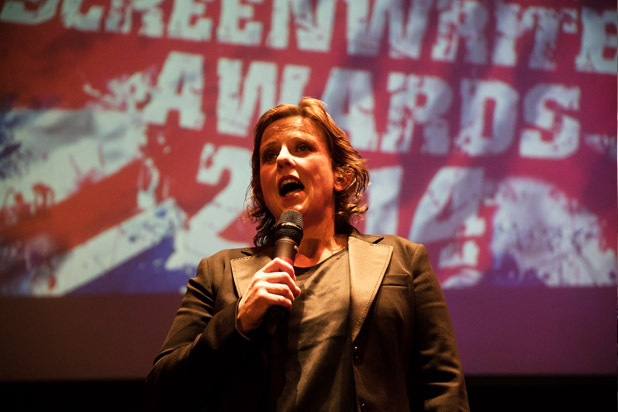 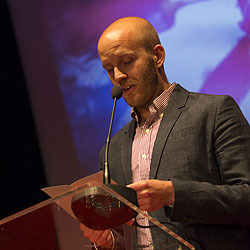 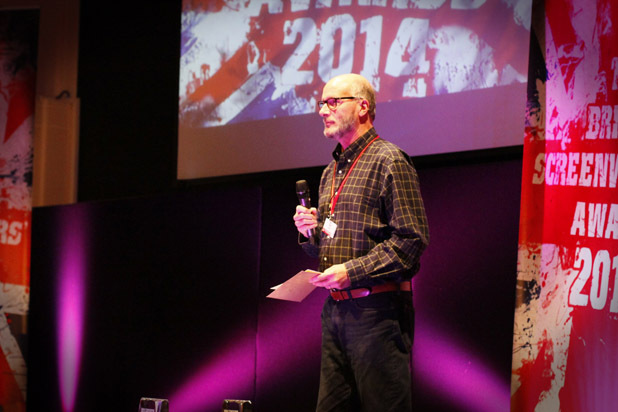 The British Screenwriters’ Awards now has an official website HERE. 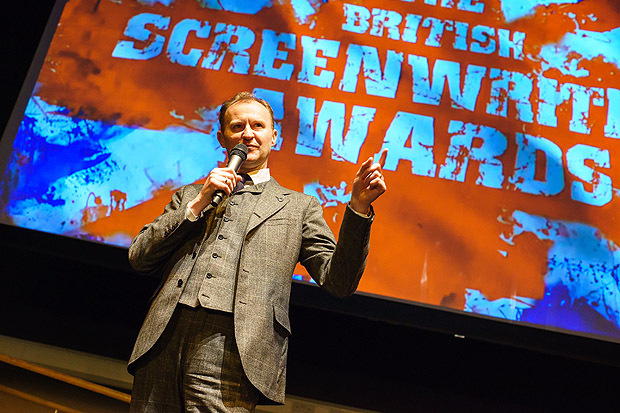 It’s about time someone put the originators and architects of great storytelling front and centre. 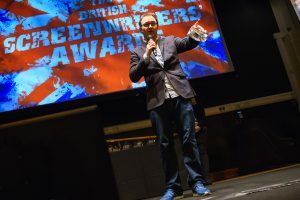 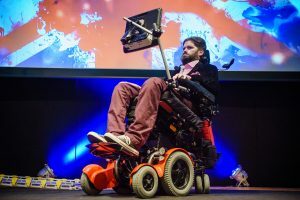 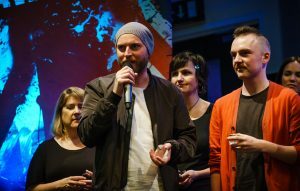 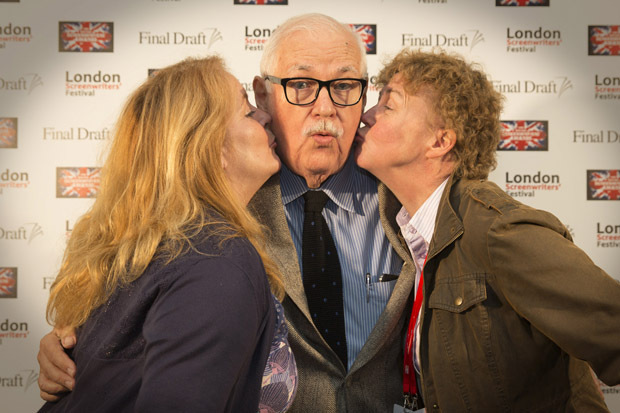 And we rose to the challenge and launched the British Screenwriters’ Awards. 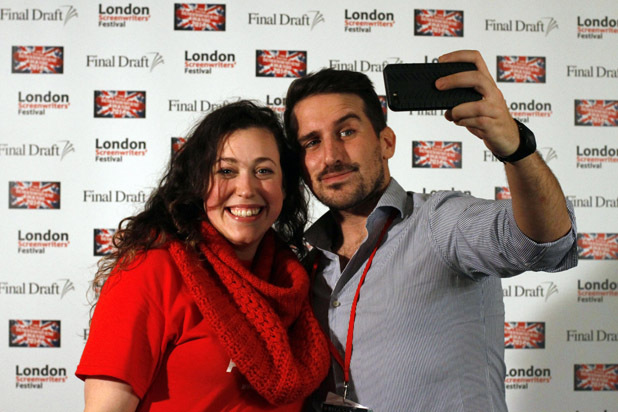 All London Screenwriters Festival delegates get a free pass to the awards and you can buy additional passes for friends and family below. 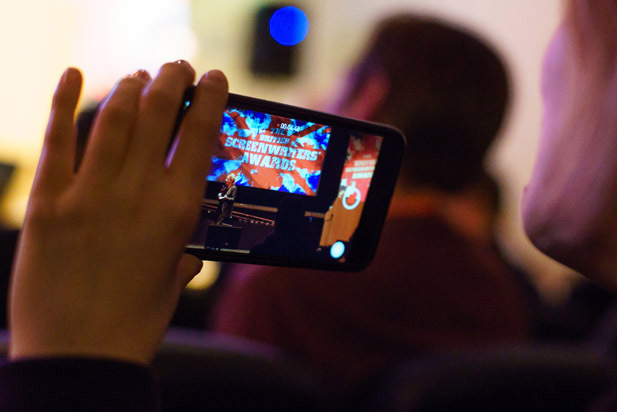 Non delegates can also attend by buying a pass to the awards and party. 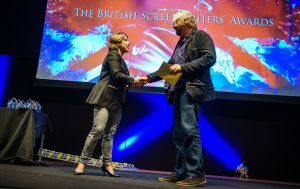 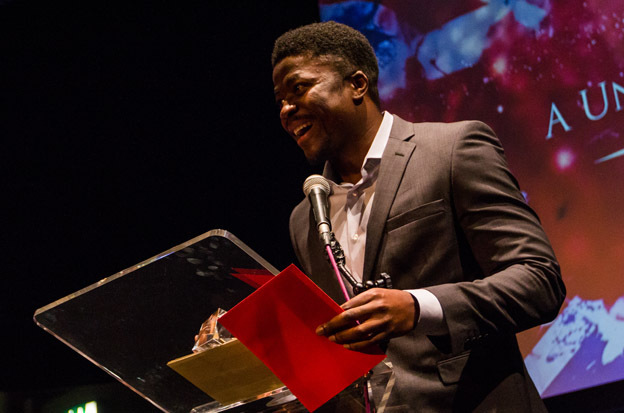 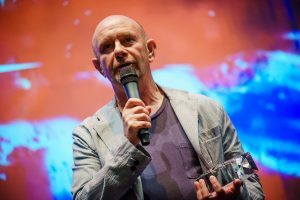 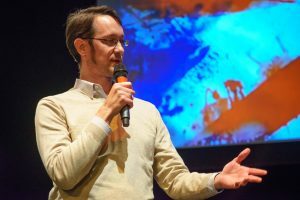 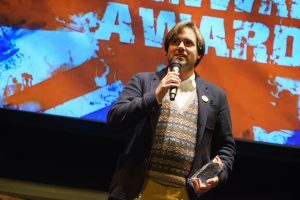 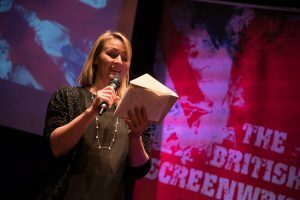 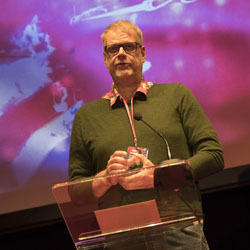 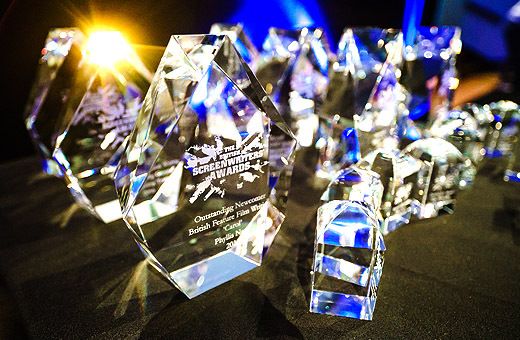 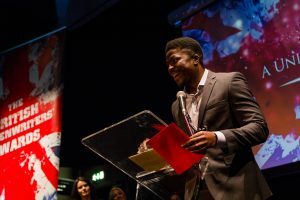 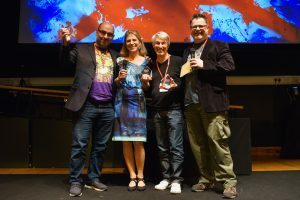 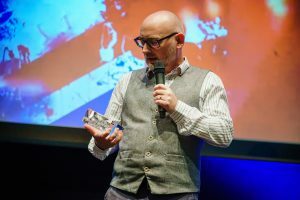 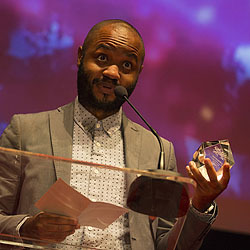 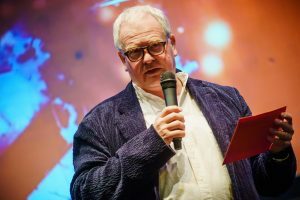 This year at the London Screenwriters Festival we will run the fifth British Screenwriters Awards, honouring outstanding writing from newcomers and established screenwriters in both film and television. 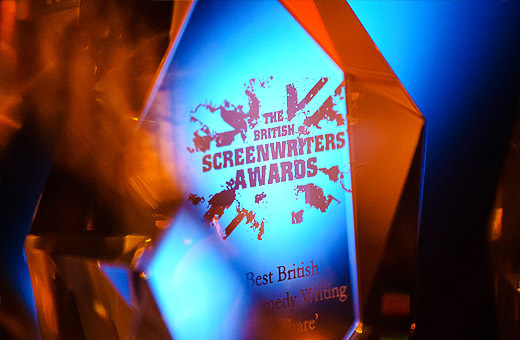 You can be sure it will be a star studded night to remember, a chance to mingle with the brightest names in screenwriting, to get your photo taken on the red carpet and to enjoy the after party fun and games. 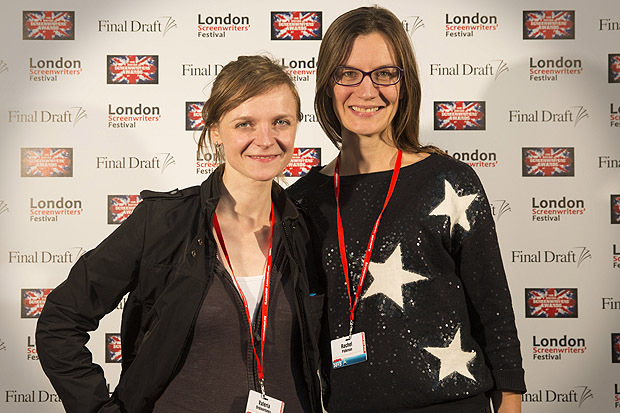 Justine Heart and Charlotte Macleod accepted the award for Lucy Sher. 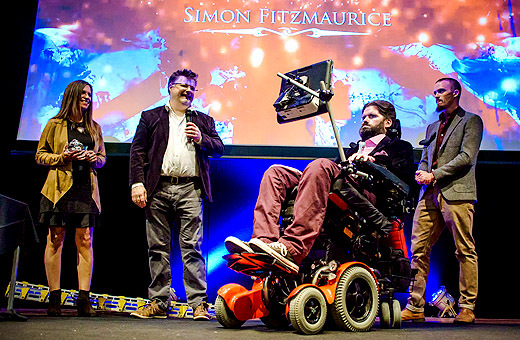 More about the Fitzmaurice Award HERE. 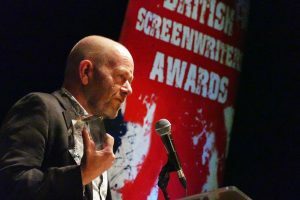 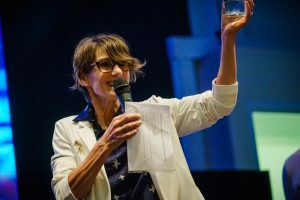 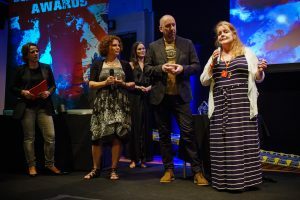 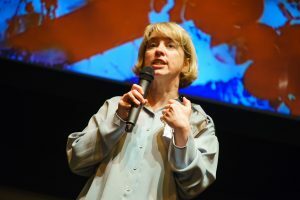 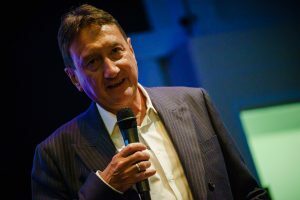 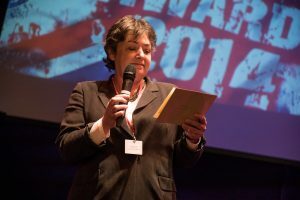 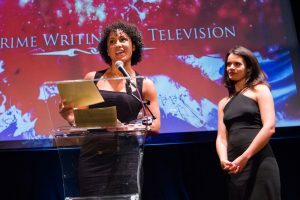 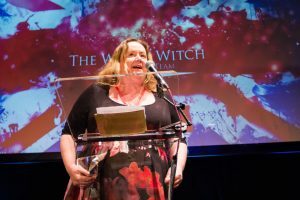 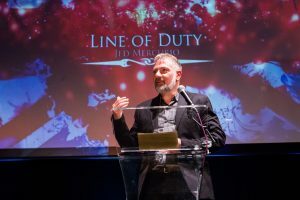 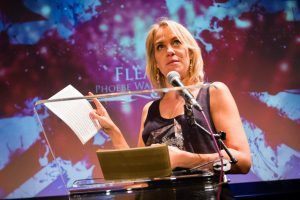 The Fourth British Screenwriters’ Awards was a spectacular and celebratory evening hosted by Deborah Francis-White of Guilty Feminist notoriety. 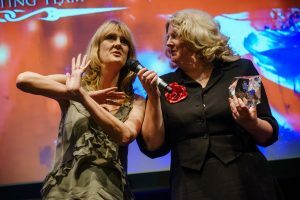 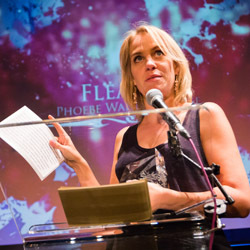 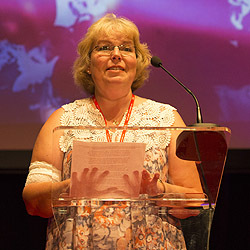 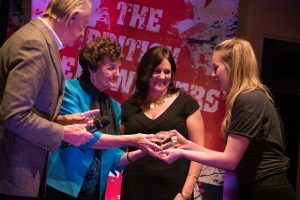 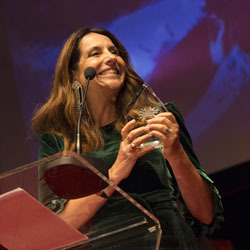 The awards were individually presented by special guests and the ceremony was hosted by the simply fabulous Fleur Keith. 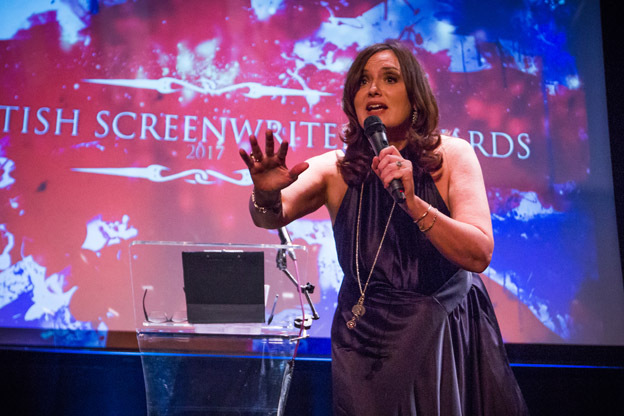 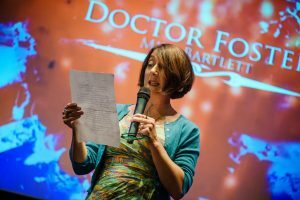 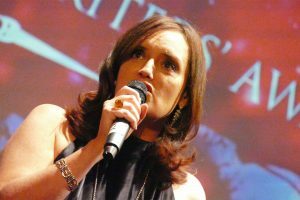 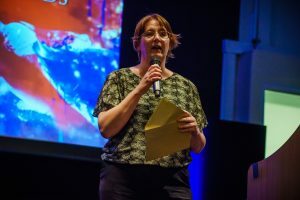 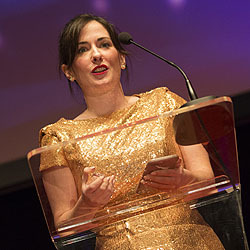 The voice overs for the awards videos were performed by the deliriously talented Kat Rose Martin adding an delicious regional accent to the proceedings. 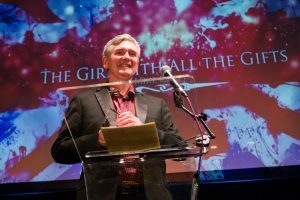 A truly magnificent evening out. 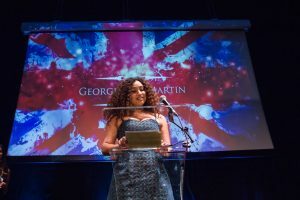 Photos on the night were taken by Seb Solberg and Naomi Koji-Paton. 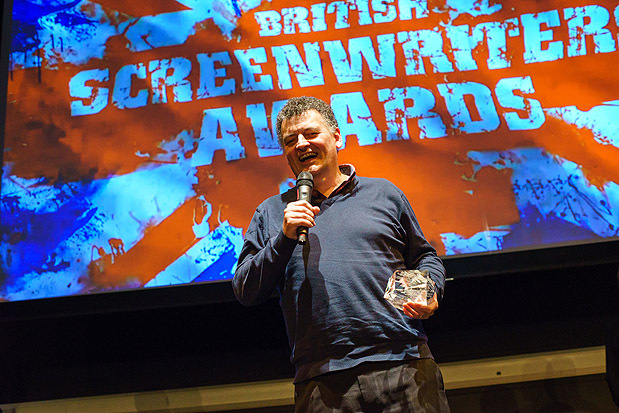 The Lifetime Achievement Award was presented to Steven Moffat by Mark Gatiss. 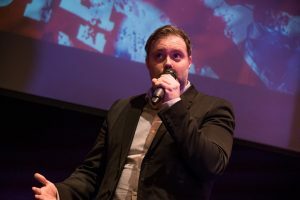 Aidan Goatley made his debut with his Edinburgh show 10 Films with my Dad in 2011 which went on to be performed over 500 times and in 15 countries. Betty is the youngest of 14 generations of actors in her family. 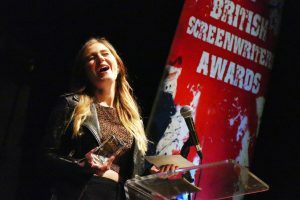 She has worked on stage and on screen both in film and in TV from a young age.